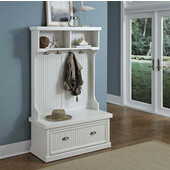 For the entryway, bedroom, hallway, mudroom, living room, family room, home office or garage, benches offer a place to sit and rest, as well as create an element of design in any room. 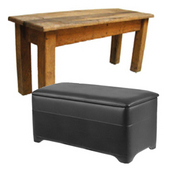 Concealed storage space makes a bench a practical and highly functional furnishing for any room of the home. 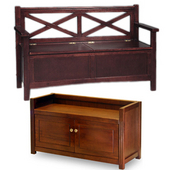 Made of wood, steel or iron, these benches are available with cubbies, baskets, cabinet doors and bench seat storage, and are available in traditional and contemporary styles to coordinate with every decorating theme. 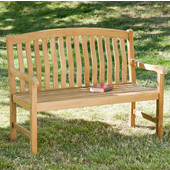 KitchenSource.com features a fine collection of benches from Winsome Wood, Linon, Powell, Home Styles, Steve Silver and more... to add convenience and comfort to your home.